Common Law Marriage in California? Is there really such a thing ? I get calls fairly often from people asking about their rights when their long-term partner has left them.They want to know if the have any rights because, we all have heard the story about Lee Marvin and his girlfriend. Is there any financial obligation? Is there any recourse? Mostly these calls are from women who still earn less than men on the whole . The bad news is: there is no such thing as common law marriage in California. And if a party has moved to California from another state in which they would have been common law husband and wife, they’re still not married under California law. But, read more because things aren’t always clear. Couples who’re living in cohabitation, but aren’t legally married, may benefit from a crash course in Common Law Marriage. Commonly asked questions about this type of union include, but not limited to: What is a common law marriage? Does common law marriage exist in California? For answers to these frequently asked questions and more, read further for facts and commonly perceived myths about Common Law Marriage in California! What is a Common Law Marriage In California? In layman’s language, this occurs when cohabitating partners may have the intention of getting married but haven’t applied for a legal marriage license. However, they’ve cohabitated for a considerably long time, which calls into question the issue of legal or monetary responsibility. Some states do attach some legal weight to common law marriage. Technically, the answer is “No.” Along with other states, namely, Texas, Utah, Washington D.C., Montana, Kansas, South Carolina, Iowa, Colorado, Alabama, the California does not recognize these unions as legal marriages. Yet, just like some states, there are some exceptions to California’s non-recognition of such cohabitations. For example, when a couple does have a recognized common law marriage in a previous resident state, California could recognize their divorce if they’ve since moved to the state. However, these situations are complex and may not apply to each presented case. A Consultation with a practiced attorney is a great way to get a direct answer about your specific common law divorce case. Naturally, California’s unclear stance on common law marriage can stir up confusion. It’s helps to clear up the differences between rights for cohabitation couples and those of legally married couples. Some of the most frequently heard myths include the following: 1. In the event of separation, the couple’s property will be split half. However, the rights to divide family assets are strictly granted to “legally married partners.” 2. One is not entitled to the common law spousal support should a break-up occur. Depending upon certain factors, spousal support is actually possible in a common law split! 3. Cohabiters have the same rights as married couples – When compared to couples who are legally married. Not True. Cohabiters have fewer rights than couples with official marriage licenses. If you’re currently seeking a separation from your partner, but are living in a state that doesn’t officially grant you any associative legal rights, you should contact an accessible attorney to weigh your options. You may have more legal clout than previously thought! 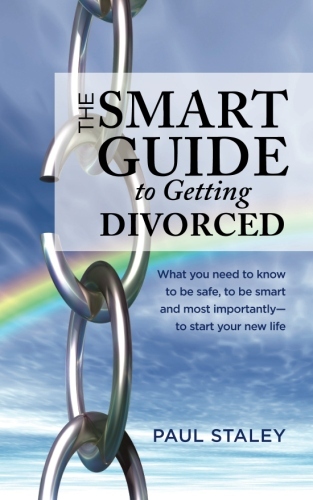 Other topics that might interest you What is a Divorce? How do I obtain a Divorce? Other topics that might interest you Marital fault in California? Other topics that might interest you Who should leave the house in a divorce first? Other topics that might interest you Serving my spouse with divorce papers? Previous post: Do children get to decide who they live with in a divorce? Next post: San Diego Child Custody Attorney: What determines custody and visitation?